Blogs are an ideal way to engage customers and potential new customers, they help satisfy the demand for a steady stream of content, and they help provide a robust marketing mix for online business success. The best blogs have similar elements that keep readers engaged and talking about the content to others with the end objective of converting more sales. One of the most powerful practices for blogs has nothing to do with uploading content to the blog. 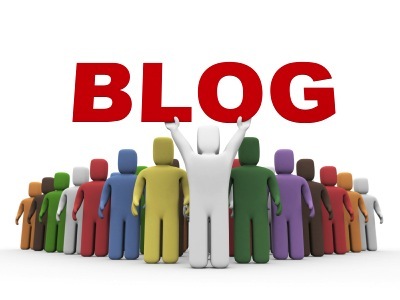 Guest blogging and article marketing are organic traffic builders that can create significant attention for your blog. When your business is seen on other websites whether it is blogs about complementary topics to the products and services you offer, or popular article marketing sites such as EzineArticles, it builds the reputation of your business being an expert in the field. Also, because these types of articles will have links back to your site, in the article or author bio, it will naturally draw readers to learn more about your business by visiting your website. Additionally, the inbound links pointing back to your site will help create more weight to get higher rankings in the search engines. Compelling content is another element that is a best practice, but it goes beyond just that, it is also about how you place the content throughout a blog post or article. The key area to focus on in compelling other’s to pay attention to the content you are posting is the title. The title needs to act like bait that will become like a magnet for readers. After that, the first sentence and paragraph and last paragraph need to be strong to keep readers engaged. While you want the entire article or blog post to remain compelling, the strongest information needs to be strategically placed in those areas because that is where readers will initially focus their attention in order to evaluate if the value of the piece is high enough for them to spend the time reading. Finally, keep content short, or keep it highly textured because most people browsing through blogs do not want to spend too much time reading. If they see the article is short, or simple to read due to lists and bulleted points, they are more apt to spend the time looking at it. When you use these best practices for your own blog and blog marketing, you will notice that your analytics will improve which will in turn help increase your business revenue.